October 28, 2016 – Satellite engineers have been puzzling over why GPS navigation systems on low-orbiting satellites like ESA’s Swarm sometimes black out when they fly over the equator between Africa and South America. Thanks to Swarm, it appears ‘thunderstorms’ in the ionosphere are to blame. 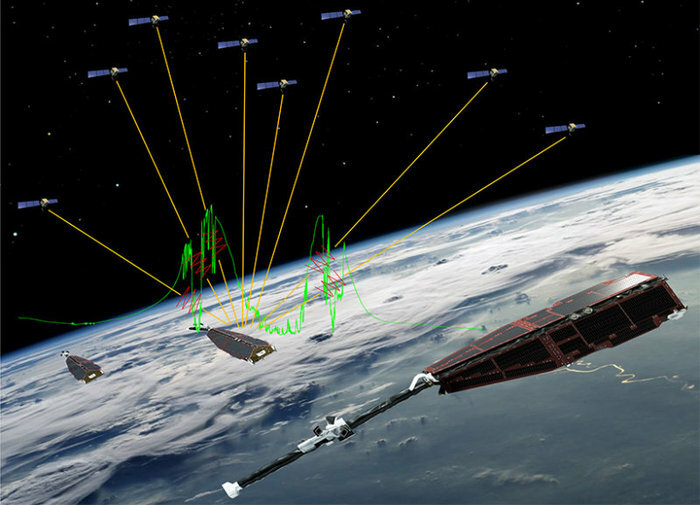 As with many satellites, ESA’s three Swarm satellites carry GPS receivers as part of their positioning system so that operators keep them in the correct orbits. 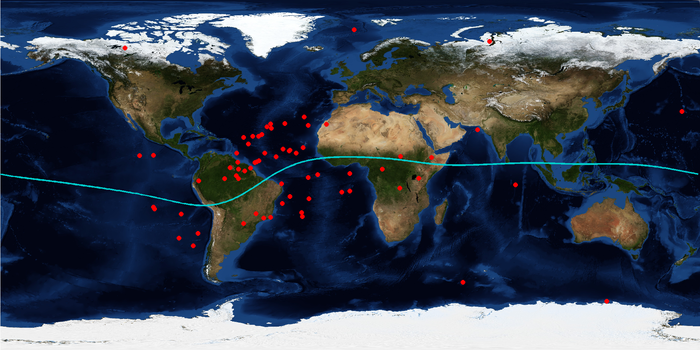 In addition, GPS pinpoints where the satellites are making their scientific measurements. However, sometimes the satellites lose their GPS connection. In fact, during Swarm’s first two years in orbit, the link was broken 166 times. A paper published recently describes how Swarm has revealed there is a direct link between these blackouts and ionospheric ‘thunderstorms’, around 300–600 km above Earth. 161 of the lost signal events coincided with ionospheric thunderstorms. The other five were over the polar regions and corresponded to increased strong solar winds that cause Earth’s protective magnetosphere to ‘wobble’. Resolving the mystery of blackouts is not only good news for Swarm, but also for other low-orbiting satellites experiencing the same problem. It means that engineers can use this new knowledge to improve future GPS systems to limit signal losses. Christian Siemes, who works at ESA on the mission, said, “In light of this new knowledge, we have been able to tune the Swarm GPS receivers so they are more robust, resulting in fewer blackouts.